As one of the country’s leading authorities on pediatric hemostasis and thrombosis, Dr. Joan Cox Gill has touched the lives of countless patients and their families dealing with hemophilia and other bleeding disorders. And as a professor of pediatrics, medicine and epidemiology, she has mentored numerous other medical professionals who are now making their own critical contributions in the research and treatment of blood-related disorders. In the 41 years since she received her doctorate from the Medical College of Wisconsin, Dr. Gill has been lauded for her work both in the exam room and in the laboratory. She has been named one of the Best Doctors in America every year since 1996. Recently retired as director of the Children’s Hospital of Wisconsin’s Bleeding Disorders Center, she has held numerous other positions on medical boards and professional organizations, including the Great Lakes Hemophilia Foundation, the National Hemophilia Foundation, and the Hemostasis and Thrombosis Research Society. Her academic career has spanned more than three decades at the Medical College of Wisconsin, during which time she has made extraordinary contributions through her research. She has hundreds of peer-reviewed publications, book chapters, journal editorials and research abstracts to her credit. Dr. Gill and her team were the first to identify the immune abnormalities in hemophilia patients that ultimately became recognized as AIDS, and she led the clinical work on the first National Institutes of Health-funded grant on AIDS in hemophilia patients. Her work has been equally important in the diagnosis and treatment of von Willebrand disease. A role model for numerous female physicians, Dr. Gill raised her daughter, Gretchen, as she completed the demanding professional path of medical school, residency, clinical care and research. And yet, as a nominator observed, she has still given freely of her time to advance the careers of scores of students, residents, fellows and junior faculty. 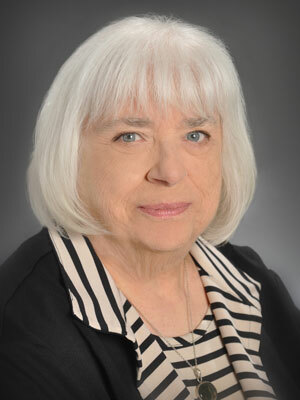 For her exceptional efforts on behalf of children and others with blood disorders, and for her impressive body of work as an educator, researcher and clinician, Dr. Joan Cox Gill is a fitting recipient of the Distinguished Achievement Award in Natural Sciences.